I was recently in Philadelphia for work but due to the leadership conference's packed schedule, didn't have much time to explore the city. I did however indulge in a marathon shopping spree one night before dinner. I stumbled across a store beside our hotel called Easy Pickin's that was calling my name due to the bright colours, statement jewellery and funky shoes at bargain prices. As soon as I tried these $19.99 cheetah flats on, I knew they were destined to make the trek back to Ottawa with me. I decided to pair them with my panther scarf for an urban, animalistic ensemble. Do you prefer to wear animal prints or animal designs? 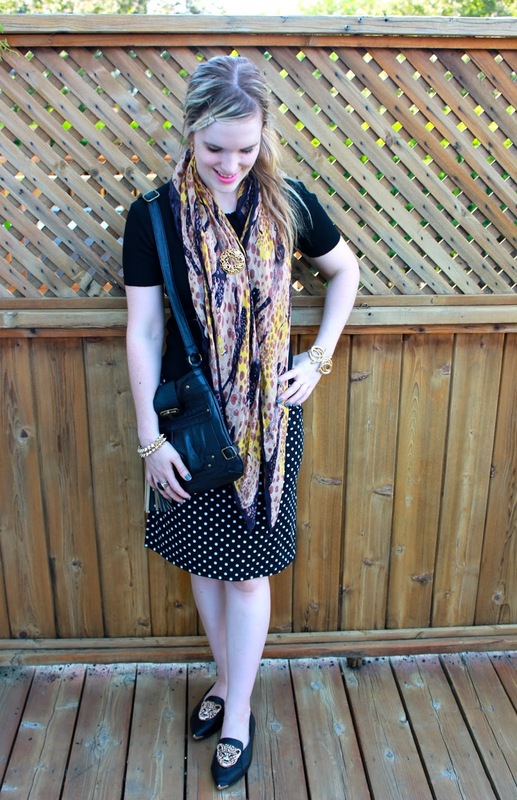 Love the shoes, especially when paired with the scarf. I bought a lady tie with cheetahs on it the other day and am super excited to wear it. I like wearing both animal prints and animal designs. Ack, those shoes are insanely awesome!!!! Great find. Oh my goodness!!! Those shoes are unreal!!! You look lovely as usual! I have a leopard print skirt and scarf. That's about it. LOL I love your new cheetah shoes! They are too cute Emily! Glad you were able to stop at that store. I love finding neat things different places. They'll always remind you of your trip there. You look so lovely! Those shoes are amazing!! I love the shoes! They're cute and fun! 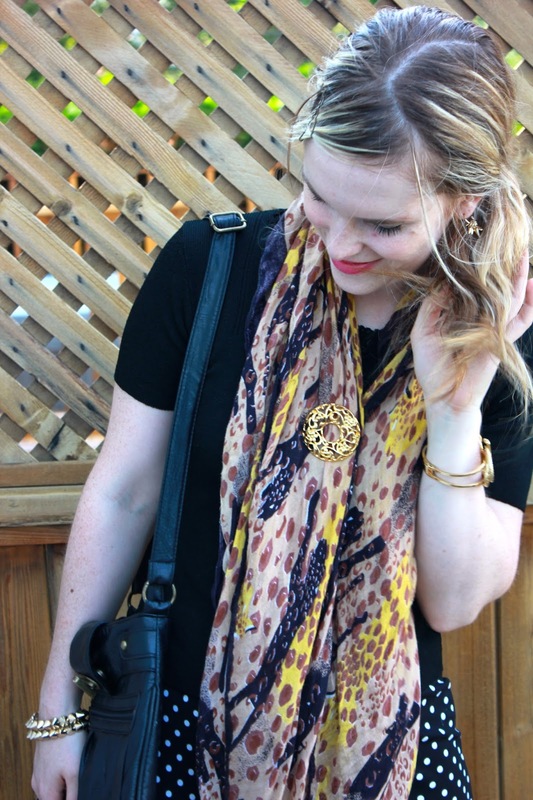 I love animal print and designs - and sometimes mixing them! Fab! love mixing of prints and the shoes! I am usually an animal print wearer, but these flats are so cute!! Those shoes are so awesome. Love your scarf too! well, actually both, to be honest. prints and patterns and designs and... everything, especially when it comes to dogs, tigers, leopards and other cute dudes. gosh and let me tell you I so want those flats! want want want! too bad I haven't seen anything like that here in Estonia..
That is nice, a shopping spree in Philadelphia! I like both, animal prints and designs, but I confess I seldom wear them. But when I see them I love! You look lovely! Sorry that I was a bit away, with only a few scheduled posts. I'm having some trouble in my new environment... soon I'll be adapted! LOVE your shoes Emily! Super fun! These shoes are just darling! They go nicely with all your fantastic gold jewellery, like that great snakeskin bracelet.